memorable photos on the inside covers. 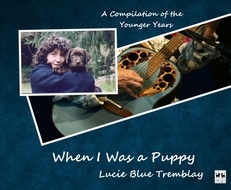 "The opening line of one of Lucie Blue Tremblay's most popular songs, "So Lucky," gets poetic about the unity of love. "When one voice leads another in a way of harmony," she begins. The words could just as easily be a synopsis of Tremblay's own bilingual singing style. Since she released her first album on the seminal women's music label Olivia Records in 1986, Tremblay has been noted for getting lyrical in both French and English. The duality makes her gentle songs more sweeping and timeless, lending credence to the notion of the universal nature of love." "Tremblay's songs brim with affirming guitar chords and messages that champion the power of love. They are simple and direct compositions tailor-made for celebrating relationships. "So lucky that I should be in love with someone like you," sings Tremblay over the delicate piano chords that open "So Lucky." Tremblay is a native of Quebec and majored in voice at Montreal's Vanier College. She uses her voice as an instrument, and not just by singing. Her remarkable capacity to make whistling sounds that rival a pan flute has been a noted feature of her live performance. 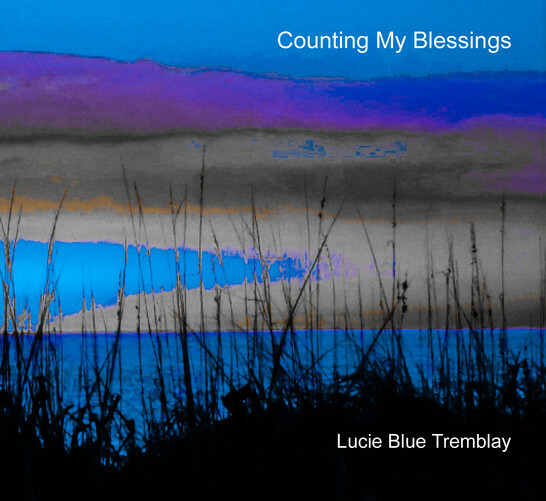 Lucie Blue Tremblay's music has an intensity that also soothes. The bilingual background of this Canadian-born singer/songwriter has proved a valuable asset, and her keyboard and guitar-playing skills have provided useful accompaniment to her poignant, spellbinding ballads ever since she first arrived on the Canadian music scene in 1984. her self-titled debut album was voted a Top Ten Album of the Year by the Boston Globe in 1986, and on subsequent albums she has continued to turn personal experience into compelling song, with studio recordings interspersed with concert cuts, and English lyrics alternating with songs in French. Tremblay serenades listeners with a rich, warm voice that can soar from a throaty purr to strong, crystal tones, her songs combining a soft melodic essence with a depth of feeling that is riveting, particularly in her love songs. Her performing credits include appearances at new York's Carnegie Hall and the Canadian pavilion at the 1992 World's Fair in Seville, Spain and she has also been heard with James Taylor and Randy Newman on National Public Radio's weekly broadcast E-Town.